With more than 30 years of business experience in real estate, construction, professional sales and financial management, Sid has found a formula for success that defines his career. "Success is doing the work you want, with the clients you want, for the money you want, while still making time for the life you want."  This is the personal and professional philosophy that Sid Sidan brings to real estate in the highly competitive South Florida luxury market. Sid enjoys helping clients realize their home ownership dreams. He places the highest value on being the "go to guy" for his clients. No problem is too big. No question is too small. Sid has earned a solid reputation for his business savvy, strong negotiating skills and keen eye for valuation in the market. These attributes make him a sought-after agent for buyers, sellers and investors alike. Sid is also extremely knowledgeable when it comes to construction and design. This knowledge is often put to use assessing the condos and new construction in the Brickell and Downtown areas. Sid specializes in properties ranging from $500,000 to several million. Sid takes great pride in being a creative problem solver, allowing him to make the seemingly impossible, possible for his clients. He has spent his career in sales and understands the necessity for exemplary client service, the ability to manage expectations and the ability to communicate clearly. Born in Cuba, and of Cuban/Lebanese descent, Sid and his family arrived in the US via Spain. They made their home in South Florida and they have been here ever since. After studying Business Administration, he began his sales career and eventually started his own business. With deep ties to the community, Sid has a large network of clients, colleagues and friends. In his spare time, Sid enjoys training for Ironman Triathlon competitions. A two-time Ironman Triathlon finisher with multiple Half-Ironman finishes, Sid applies the same conviction and steadfast determination for his races to his business, bearing the mindset, discipline, work ethic, and sweat it takes to cross the finish line for his clients. His ability to persevere during the toughest and most challenging deals, is what sets him apart from his peers. Sid makes his home in Coconut Grove with his son and considers being a father his greatest challenge and most rewarding life experience.